Washington, coincidentally nicknamed The Evergreen State has become one of the most marijuana-friendly areas of the country. Medicinal cannabis has been legal since 1998 and on Nov. 3, 2012, Washington residents voted to legalize recreational marijuana. The general attitude towards the herb is very relaxed, especially in the Seattle area. Every August, when Seattle hosts the iconic Hempfest, you will see the Seattle Police cruising around on bicycles handing out munchies along with the laws about marijuana use in the state of Washington. Initiative 502 is the law passed that allows for the cultivation and recreational use of weed for individuals 21 and up. In the years since legalization, a significant number of legal recreational marijuana shops have appeared all over Washington – here is a map to find one near you. Shop at one of these stores to ensure that your purchases are legal. You can also examine the packaging of your pot products to ensure legality – each legal item will be clearly labeled with the total THC percentage. Edibles serving sizes will not exceed 10-milligram serving sizes. You should always be able to receive a receipt following your purchase at a recreational store. There are limits to how much marijuana you can purchase and possess at one time. You can only hold one ounce of marijuana flower (28 grams), 7 grams of extract for inhalation, 16 ounces of infused product in solid form, or 72 oz. in beverage form for both edibles and topicals. If you drive after smoking marijuana, you can be arrested and convicted of a DUI, so do not get behind the wheel if you have partaken. Washington has a legal limit of 5 Nanograms/mL of blood and it applies in a similar fashion to the .08 Blood Alcohol Content test. Seattle has a lot of public transportation, and you can always call a cab or use Uber/Lyft. Transporting weed across state lines is illegal and strongly discouraged. 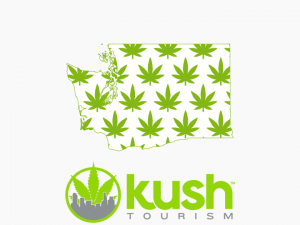 The best advice we can give for tourists looking to partake in the cannabis culture is discretion. It’s best to keep your marijuana use out of public areas, but if you must smoke out in the open, a discreet vape pen is your best option. If you find yourself in a pinch with the law, check out our Washington Cannabis Lawyers page for help! Is Marijuana legal in Washington? Yes, medical and recreational marijuana use is legal in Washington. You must be over the age of 21 to purchase or have a medical marijuana card from a licensed doctor. Med cards must be prescribed in Washington. If you find yourself in a pinch with the law, check out our Washington Cannabis Lawyers page for help! Can I get my Medical Card if I am not a Washington Resident? Unfortunately not, but tourists can get a medical card in Oregon. Don’t worry though, the products are virtually the same in Washington. The only difference is the tax rate. What do you need to purchase cannabis in a licensed marijuana shop? Where can I buy marijuana Seeds in Seattle? Unfortunately, you cannot buy marijuana seeds in Seattle or anywhere in Washington through legal retail stores. Mail order seed companies do operate in the US & Canada, but their legal status remains in the grey / black market realm. Legal marijuana in the state of Washington is going to be reasonable, between $7 and $25 a gram depending on the quality and strain. The Washington government started with an extremely expensive tax system that charges a 25% excise taxes each step of the way from producer to processor to retailer, and an additional sales tax of 9.5% to the consumer. Once the industry matured, they dropped that tax down to around 37% at the retail level only which makes it affordable at the retail level. Although you cannot buy cannabis at gas stations or liquor stores just yet, you can buy it at any state-licensed store. For a list and map of current locations check out our Retail Shop Guide! If you do not have a medical card, you cannot buy it from Medical Marijuana Dispensaries. Can I buy edible marijuana products in Washington? Yes! Of course you can! Though there are a few caveats regarding these. The Washington state Liquor and Cannabis Board has tried to take as many steps as possible to ensure that edibles are not overly enticing to children, so some products will not be legally produced, such as gummy candies, and others. Also, the packaging on edible wrappers must not look too much like a non-infused candy product, otherwise it could be easily confused. With that being said, go get some chocolates, mints, teas, capsules, or anything else you could dream up! Enjoy! No. 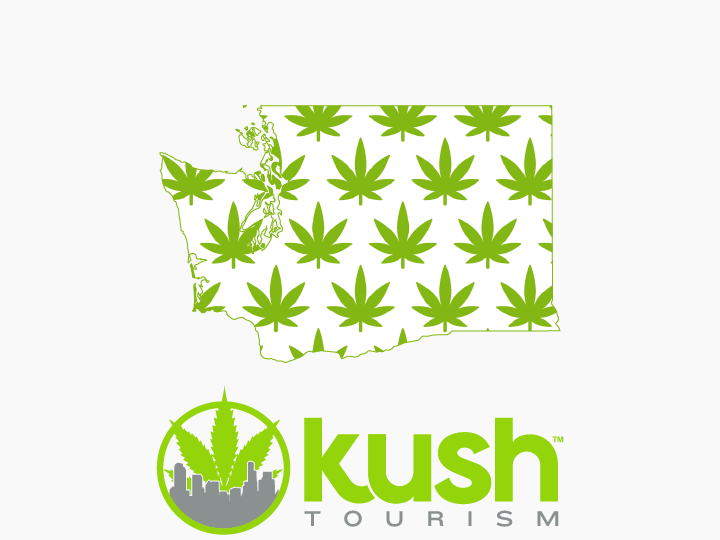 All marijuana and marijuana products purchased in Washington must be consumed in Washington. Legally, you can only consume in marijuana in private or you risk a civil penalty of $100. In the city of Seattle, the fine for public consumption is $27. It is common to see citizens consuming marijuana in public in Seattle, particularly at events like Hempfest. We do not recommend breaking the law, but just walking around in downtown Seattle you will most likely see someone violating the public consumption law. The Seattle Police Department has placed marijuana violations as one of their lowest priorities. How Many Marijuana Plants Can I Grow in Washington? Sadly, without a producer/processor license from the state – which is NOT easy to get, you are not legally allowed to grow any cannabis whatsoever in Washington state. Licensed producer/processors even must take extra precautions to ensure that no seeds make it into batches that go out to the public to try to prevent anyone from easy access to growing illegally. It would be nice if the state would allow for home cultivation like many of the other legal rec states do, but c’est la vie. We’ll live to smoke another day! Will using a topical going to get me stoned? No, topicals do not have a psychoactive effect. They are used for localized relief of inflammation, pain, or soreness. Do not confuse topicals with transdermal patches though. This forum contains 65 topics and 171 replies, and was last updated by UWResearch 1 year ago. Can I Fly With Marijuana In Washington? How Much Does Washington Marijuana Cost? How Did Washington Legalize Marijuana? How Do I Buy Washington Marijuana? How Much Is The Washington Marijuana Tax? How To Get A Washington Marijuana License?